Crude oil is about to skyrocket in price. In fact, I believe we'll be looking at $150-a-barrel oil by mid-summer. For most U.S. consumers, higher oil will equate to higher expenses, and a bigger drain on the household budget. 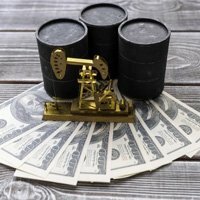 But for investors who understand where to look, these higher crude prices represent a substantial profit opportunity - one that will eradicate any concerns you have about higher household expenses. And I can tell you precisely where to look.